The Citadel of Love was birthed through the prayer and consecration of its pastor, Elder Marichal B. Monts with the vision to establish a church with a group of baptized believers who are a part of the family of God. Seeing a vacuum in the Greater Hartford community for a ministry focused on encouraging, inspiring and uplifting the youth of this area, Pastor Monts set his energy to the task of making a positive change. While there is great expectancy for the future, presently our focus is on healing and helping people to become whole contributing citizens in the society who follow the principles of Jesus Christ. We began holding services at the Ramada Inn in Hartford in July of 1995; however, Pastor Monts felt that he would accept no members until someone answered the call to salvation. On the first Sunday in September of 1995, John Holiday gave his heart to the Lord and became our first member. 13 additional people joined on that Sunday. God opened up the door for the church to use a facility located at 380 Market Street, Hartford, CT in May of 1996. After the official consecration and ordination of our Pastor by Bishop Kenneth Moales in November 1996, we were formally organized. Also, on that day, the Mothers of the church were installed. Church Mother B. Alderman, Mother Monts, Mother Lynch, Mother Scott, Mother Gibson, Mother Hewitt and Mother T. Alderman. November 1998 saw us license our first Ministers, Min. Dwyer, Min. Matthews, Min. Mitchell, Min. Von-Lee, Elder S. Monts, Evang. LeMon and Elder LeMon. Our first Deacons were ordained, Deacon Hamlet, Deacon Elkey, Deacon Barber, and Deacon Holiday. Also consecrated were our first Missionaries, Sis. Dailey, Sis. Williams, Sis. Greenfield, Sis. Burney, Sis. Hamlet, and Sis. McDonald. We were known then as the fastest growing church in Hartford. While we were growing spiritually and growing numerically, we quickly out grew that building, and God opened up yet another door for us. We moved to 765 Asylum Avenue in May of 1999 to a facility that was just about twice the size of the previous one. Our time spent at 765 Asylum Avenue was shortly lived. The incredible growth that we experienced had forced us to pursue new property to house our various ministries. In 2005, God blessed us with our current facility in the heart of the city at 167 Barbour Street. 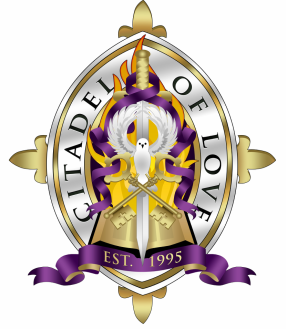 Under the anointed leadership of Pastor Monts, the Citadel of Love has stretched out and grown strong in the love of our Lord and Savior Jesus Christ. The Citadel of Love seeks to be a beacon light in the Greater Hartford Community by providing countless ministry initiatives and opportunities which include giving away free food and clothes, street crusades, hospital and convalescent ministry, special ministries for men and women, a vibrant and active youth department, a growing bible institute, an excellent music ministry and a ministry of hospitality and benevolence which is second to none. While our vision has been fore stated, we believe that through perseverance and prayer, God will assist us in making a positive and indelible impact on the Greater Hartford community in the days and years to come. We reflect on the faithfulness of God over these last 21 years, We are absolutely overwhelmed by His immeasurable love shown toward us. We have been the recipients of countless blessings and miracles. Way more than we deserve! The fact that God never gave us over to the will of our enemy gives us strength for today and hope for tomorrow. For these things, we are truly grateful.